Updates to Sue Ann's profile since your last visit are highlighted in yellow. I retired from Verizon in 2003 and have been selling Real Estate since in the Lakes Region of New Hampshire where I reside. I also work mornings in the winter at the Laconia School Dept Food Services...and summers customer service Bank of NH Pavilion. I graduated from Northeastern University in Data Telecommunications in 1994.Also attended Framingham State College 2 1/2 yrs . I skied up until last year when I had knee surgery and have not attempted it since. I enjoy motorcycling, NASCAR, Camping, the Blues, and spending time with good friends. I have a cocker spaniel Deogie and an Amazon Parrot Kiki. My mom is 91 and still resides in her home in Needham so I am back and forth. 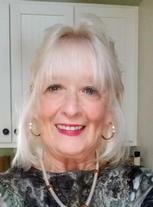 Sue Ann Stansfield Fecteau updated profile. View. Sue Ann Stansfield Fecteau changed profile picture. Sue Ann Stansfield Fecteau has a birthday today. Sue Ann Stansfield Fecteau added a comment on Lisa Leavitt Lazdowsky's Profile. Sue Ann Stansfield Fecteau posted a message on Carol Nichols' Profile. Hi Carol. It is me Sue-Ann Stansfield Fecteau. I reside in Gilford NH. Lost my husband back in 2003 and have remained in the Lakes Region. I am a REALTOR for Roche Realty Group in Meredith and also work PT mornings for the Laconia School District. Have thought about you many times over the years. My brother Bob was here recently visiting from Colorado and was also wondering where your brother Dave is. I lost my mom 2 years ago and I was fortunante to have her living with me towards the end. Hope to hear from you. Sue Ann Stansfield Fecteau has left an In Memory comment for Profile. I grew up with Betsy through all the schools. When my mom was ill in Needham before coming to live with me in NH Betsy was kind enough to travel from Cambridge to the Rehab to visit with my mom. I will always be grateful that she did that. We kept in touch after that and I was so surprised when she did not respond to my emails, then I learned of her passing from her sister. She was a very sweet person. Sue Ann Stansfield Fecteau added a comment on Profile. Sue Ann Stansfield Fecteau has left an In Memory comment for Barbara Anthonsen Cowen. I also remember Barb as averycheerful young woman and I agree the go go boots!!! !She was always very pleasant. My condolenses to her family RIP. Sue Ann Stansfield Fecteau has left an In Memory comment for Patrick Bilodeau. Thanks Bill for the update. He was a great guy remember him even as young kids!!! Very sad. Does he have surviving family???Wife?? Kids??? Thats very sad... have not seen him in years. Please post updates if you should hear anything. Thank You..
Sue Ann Stansfield Fecteau posted a message. I read on Facebook yesterday that Ken Martin had major surgery in the hospital in Boston. Sue Ann Stansfield Fecteau joined via Class Connection Facebook app.